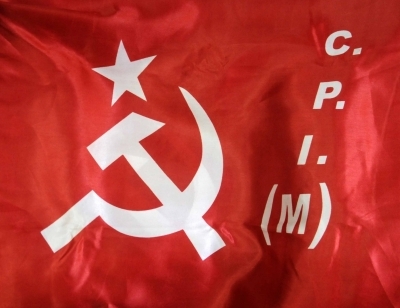 New Delhi, Dec 6 (IANS) The Congress cannot defeat the BJP in elections with "soft Hindutva tactics", the CPI-M has warned. "If the Congress thinks it can defeat the BJP by ... soft Hindutva tactics, it is mistaken," said an editorial in the CPI-M journal "People's Democracy". "The attempt to prove that the Congress was genuinely more Hindu than the BJP witnessed a flurry of temple visits by Rahul Gandhi in the three states; the manifesto of the Congress in Madhya Pradesh talked of 'gaushalas', commercial sale of 'gau mutra' and building a 'Ram Van Gaman Path Yatra'. "In Rajasthan, the manifesto promised the setting up of an education board to propagate Vedic values. In the campaign, there was a palpable reluctance to speak out against the lynchings of Muslims like the killing of Pehlu Khan," the editorial said. Nevertheless, the BJP will face electoral reverses in these three states "because the people have voted on issues such as jobs, farmers' distress, lack of basic amenities and corruption", the CPI-M said. It said that various mass struggles offering a secular and democratic alternative "alone can counter the BJP-RSS gameplan and effectively foil it". "The mobilisation of the working people ... and the numerous struggles and movements taking place around the country stand in stark contrast to the communal mobilisation being undertaken on the Ram temple issue at Ayodhya."